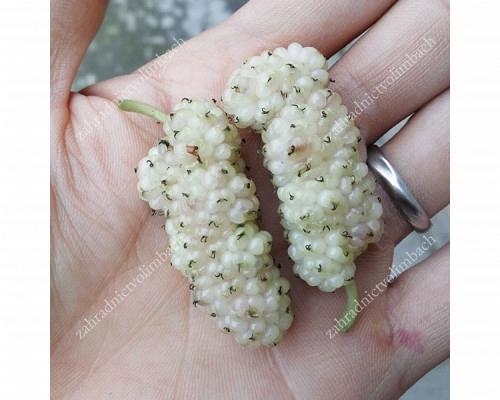 This Chinese variety mulberry bears extra large fruits, also hardy enough. Due to the high sugar content and low acid content in the fruits, various Asian populations used powdered fruits as sweeteners. The healing properties of fruit, leaves, roots, and bark have been demonstrated. 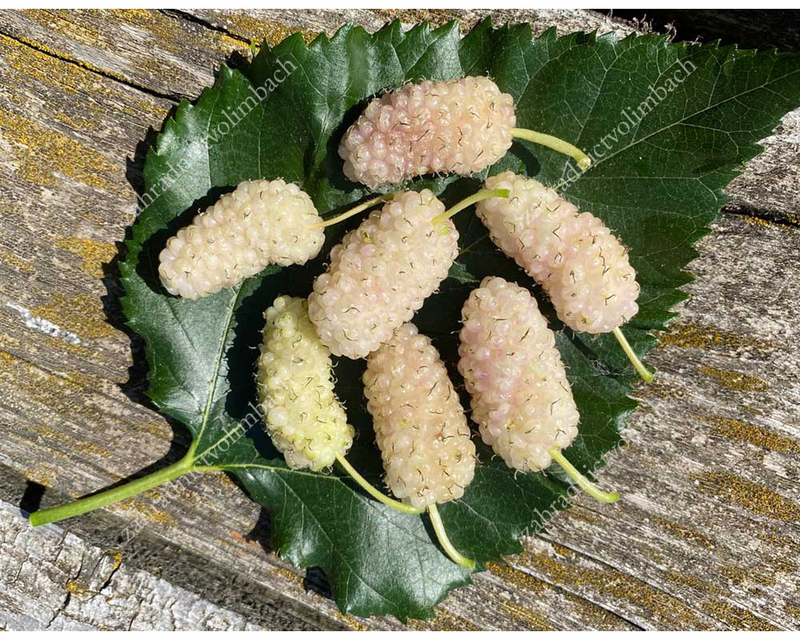 White mulberry begins to bearing fruit in the second year after planting. The tree can survive for more than a hundred years.